The next meeting of the Blarney Historical Society will take place on Thursday 6th December 2018 @ 8pm in SMGS Blarney. 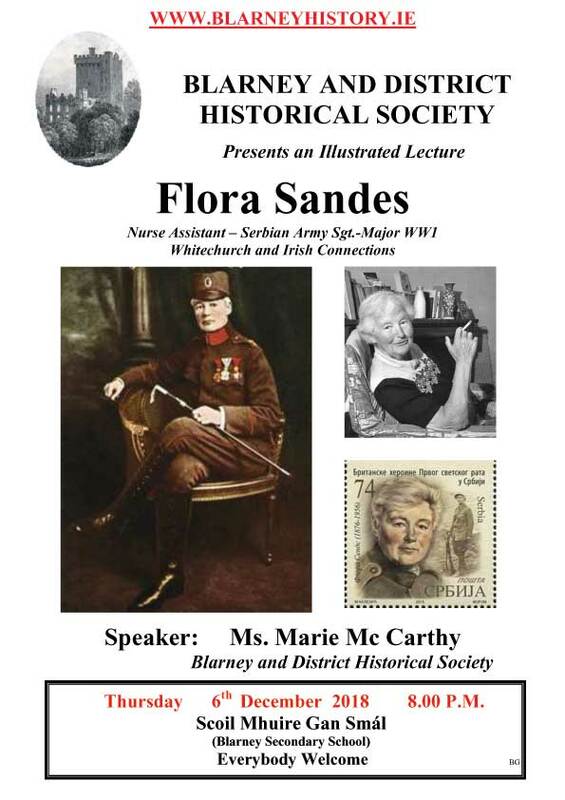 The lecture on the night is entitled ‘Flora Sandes’ - WW1 Nurse Asst.,Serbian Army Heroine, Whitechurch connections. 2nd Yr Parent Teacher Meeting.